The front porch should be a welcoming place. It is the first space a guest enters as they approach your door. So just adding a few plants or flowers here really says “Hello” to this space. One of the easiest ways to decorate the front porch is with the use of succulent gardens. The two photos above are interesting succulent gardens that are displayed my front porch. They are super low maintenance, yet gives great visual impact to this space. 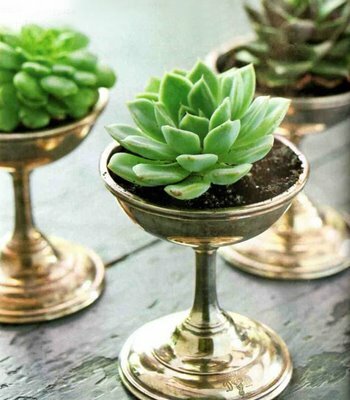 Because the roots of succulent plants are relatively shallow, a bowl or dish can look great. Plus, they look stunning planted alone or as companions. You can read more about how to add succulent gardens to your home and the succulent workshop I attended with some of my students a few weeks ago. Need a bit more inspiration. Here are a few examples of front porch succulent gardens. 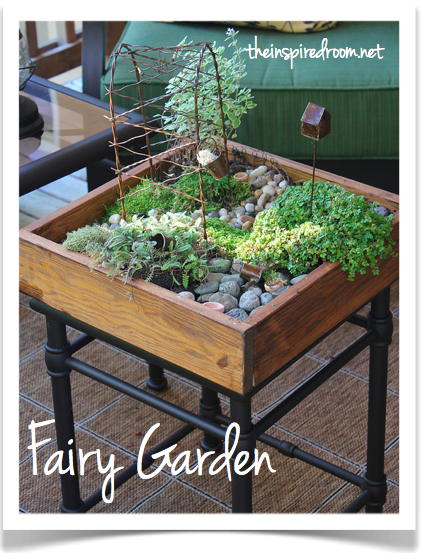 This little Fairy Garden would definitely pull you in for a closer look and certainly would bring a smile to observer. Smiling happy guests are one of our floral goals you know. 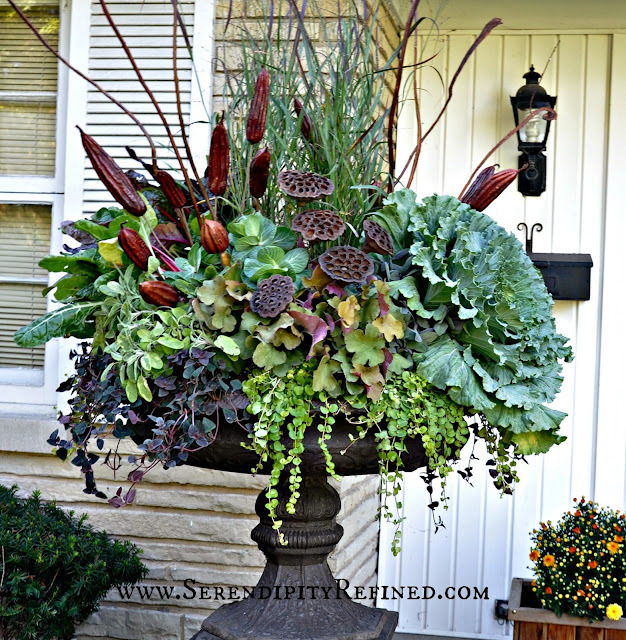 Here is a more sophisticated porch urn. Lovely. And well Hello Gorgeous on this one! You can see how decorating your front porch with florals can make an quite an impact. It provides a wonderfully welcoming statement…and greets your visitors with natures amazing beauty!